Business and industry try to improve productivity and reduce safety claims as much as possible, so it’s no surprise that businesses want to use the most cost-effective option when it comes to bearings. Many fall into the trap of thinking rubber bearings are better than urethane bearings, but that’s simply untrue. While there are advantages to both, urethane often outperforms rubber in most cases and provides the largest return on investment with the durability and longevity, not to mention the efficiency, that urethane bearings offer. 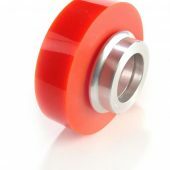 If you’re deciding between rubber bearings and urethane bearings, here are a few examples that demonstrate why urethane bearings are the superior choice. This is one area where engineers, purchasing managers, and manufacturers often regret specifying any material other than urethane. Save yourself the difficulty of materials breaking down on you in the future and opt for urethane bearings. While rubber (along with silicone and nylon) often decomposes from wear and tear, urethane stays in solid condition for years to come. 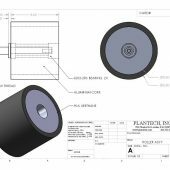 You’ll be thankful you decided to select urethane covered bearings due to the fact they have the longest manufacturing life to it and can stand up to demanding industrial applications. The main consideration for choosing urethane bearings for vibration isolation and dampening applications are urethanes have a good dampening coefficient, wide temperature range stability, and long fatigue life. A good vibration isolator lowers the natural frequency of a system to fall below the excitation frequency. Reducing the mechanical energy extends the lifespan of the equipment and bearings. 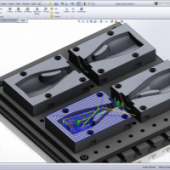 Our special formulations can dissipate over 50% of vibration energy. Urethane bearings can come in a variety of levels of hardness. We offer the entire “A” range of hardness all the way up to the D scale so that you can have the right softness or hardness for your project needs. It’s all fully customizable and much more durable than rubber. With rubber, it tends to be much softer. With urethane, we’re able to create a denser material that’s higher on the scale of durometer. Choose Urethane Bearings if you are looking to save money in the long run while having superior products that outperforms rubber in virtually all areas. Urethane bearings are the best choice for industrial operations due to its varying levels of hardness, sound reducing qualities and it’s long lifespan! 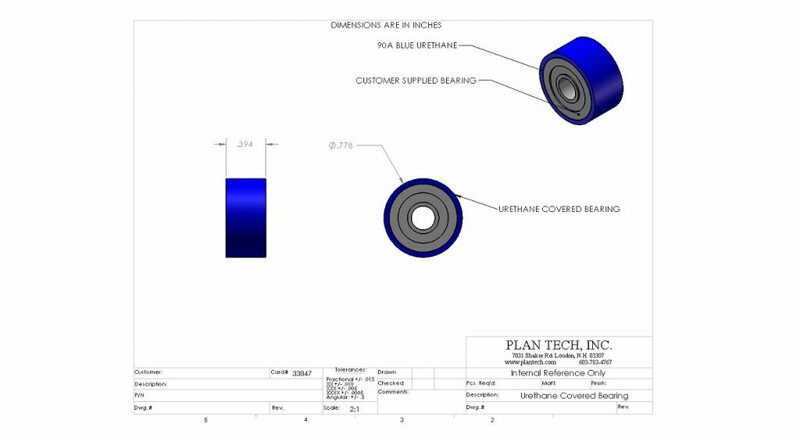 Please Contact us for further details regarding your custom urethane covered bearings!